When I was pregnant with Madeleine I had dreamed of finding out whether I was having a girl or boy in a fun way, but the NHS doctors wouldn't play along! They wouldn't write down the gender on a card because they said they can never be 100% certain. So in a pretty ordinary scan room we found out we were expecting a girl. 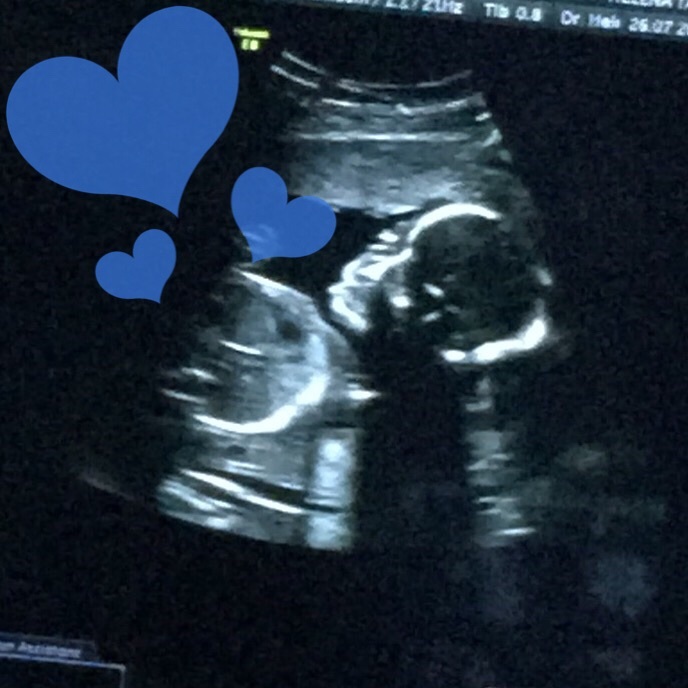 This time around, given the early difficulties we faced, I was more determined than ever that we would have some fun with finding out the gender. I wanted the Obstetrician to tell Pete the gender and then he would find his own way of telling me. The only glitch in this plan, Pete hopped on a plane to Australia on the morning of my scan. So, plan B it was. Maddie painted a neutrally acceptable card, and we gave that to the Obstetrician to write on, and thankfully, she was only too happy to oblige my wishes. I then kept this card sealed for a week and we packed it in our bags and headed to the Seychelles for a quick holiday. Pete then opened the card in private, (but I could hear his smile from miles away anyway) and then we went down to the beach for him to spill the beans!! We could not be more excited!!!! I just loved how Pete chose to reveal this news to me. It was unpretentious, discreet and thoughtful. exactly like Pete. i feel a little nervous about knowing what to do with a little boy next, but then I look to this strong man beside me in this wonderful journey and know we will all be just fine.